If you are looking for a professional business plan writer in Rhode Island (RI) then you have reached the right place. I have developed hundreds of business plans for entrepreneurs, business owners and executives and I can help research and develop your business plan. 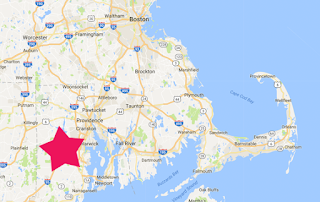 Located in Connecticut, just about an hour outside of Rhode Island (RI), I commonly help Rhode Islanders developed their business plans. My business plan prices range from $350 to $1,000 and are normally completed in 7 business days. There are faster turnaround times available and there are also payment plans available. I accept all major credit cards. See detailed pricing on my standard business plan page. People love my business plan writing services because it is straightforward, professional and cost-effective. Are you an established businesses looking to expand? Are you an entrepreneur just starting out and don't know where to start? Either way I can help. I have helped hundreds of businesses get loans or investors by writing custom professional business plans that attract financing. All I need to get started writing your business plan are some simple answers to my business plan writing questionnaire. You can either fill out this questionnaire before you text or call me or I can fill it out during our first consultation after you retain me. You can find the business plan questionnaire here. I am super simple to get ahold of. The fastest way to get ahold of me is to text me or email me. If you call me, please leave a message as I am normally working with other business plan clients. In the message please leave the best time that you can be reached and a phone number and I will call you back. Rhode Island is the smallest state in the country but luckily you have one of the best business plan writers in the world right next door. Okay, maybe I am being a bit ambitious about being the best business plan writer in the world, but I always strive for greatness and everything I do including when I write business plans for my clients. See my blog post "The Best Business Plan Writer in The World" for more on my take about being the best in your field. Moreover, my clients love me because I motivate them and give them an unfiltered perspective on their business as well as guide them through the past successes and mistakes of myself as well as my hundreds of other clients. This ensures that their business will be a success. If you are in Rhode Island and have been searching for a Rhode Island business plan writing service, stop. I am your guy. If you have any other questions about my business plan writing service, see my frequently asked questions page or just reach out to me. I would love to hear from you.